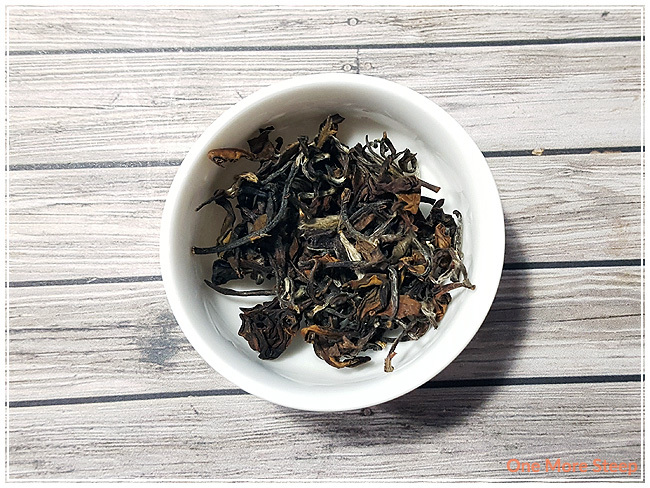 I bought Oriental Beauty at Oollo Tea’s booth at the 2016 Vancouver Tea Festival, back in November. This was one of the teas that they were sampling at their booth and I pretty much fell in love with it. The packaging that Oollo Tea uses is simple and effective – a textured card stock box with information on either end about the company is printed in metallic silver. The front has basic information about the tea, along with a circular sticker that lets me know that it is a dark oolong, direct trade and single origin from Pinglin, New Taipei, Taiwan. The back of the box has a sticker that tells me the name of the grower (the Zhen family), as well as when it was harvested (May 2016) and steeping instructions. The tea itself is contained in a resealable white, foil lined bag. The packaging overall from Oollo Tea is nothing short of beautiful – I quite like it as it is simple, pretty and (most importantly) functional. Oriental Beauty has dark wiry leaves, I love that I can see the soft downy feathers on the leaves. This is always a sign to me that there’s a lovely cup of tea waiting for me. There’s very subtle fruity fragrances in the dry leaf. It reminds me a lot of stone fruit – plums, apricots, with just a smidgen that reminds me of peaches. 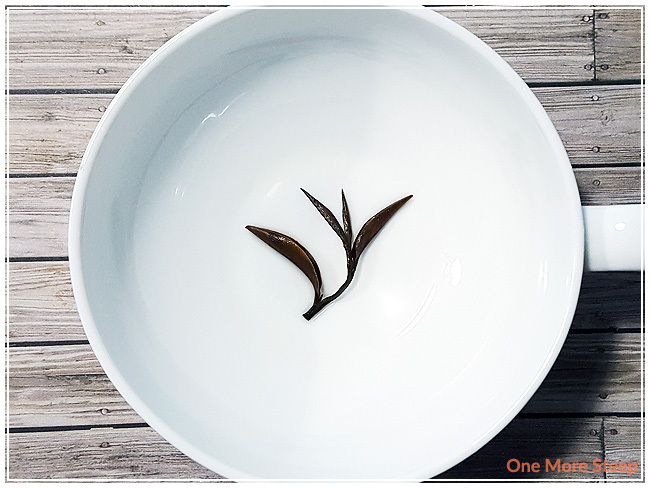 Oollo Tea recommends steeping Oriental Beauty for 2-4 minutes in 95°C (203°F) water, and suggests that it can be steeped five times. My initial steep of Oriental Beauty was for 2 minutes. After the two minute steep, Oriental Beauty is a nice light yellow. It has a fruity smell to it, which was expected based on the dry leaf smell. My first taste of this tea and I note the stone fruit flavours in it – plums, apricots, peaches. There’s a sweet vanilla taste to the tea that I wasn’t expecting, but it’s quite welcome. The vanilla flavour adds a nice creaminess to the tea. The tea itself is quite smooth and easy to drink, with zero bitterness when steeped for two minutes. I found that the leaves opened up a little bit, but not quite all the way. The second steep (2 mins, 30 secs) had the addition of floral notes, the same stone fruits, and apple. The packaging suggests that there are grape flavours, but I don’t taste them in the second steep. Overall, I did a total of 7 steeps (6 resteeps) of Oriental Beauty. I found the third steep had the richest, deepest flavours with the apple and stone fruits, the sweetness of the vanilla flavours mingles well with the floral. After the third steep, I lost the apple flavours first (in the fifth steep), and by the seventh steep I was left with primarily flavours of vanilla and plum in my mouth. 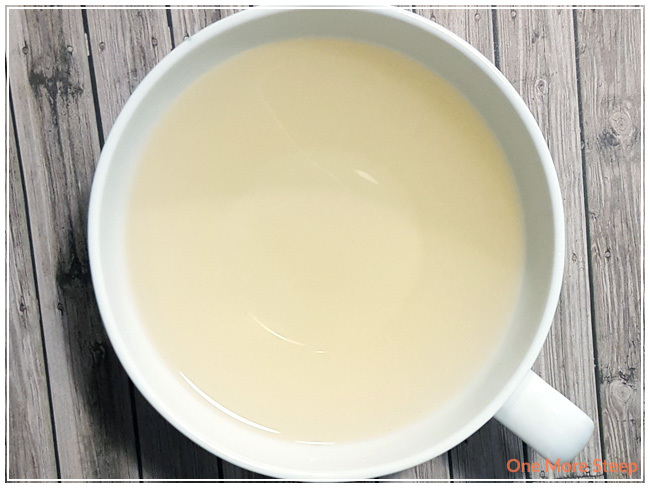 I loved Oollo Tea’s Oriental Beauty. 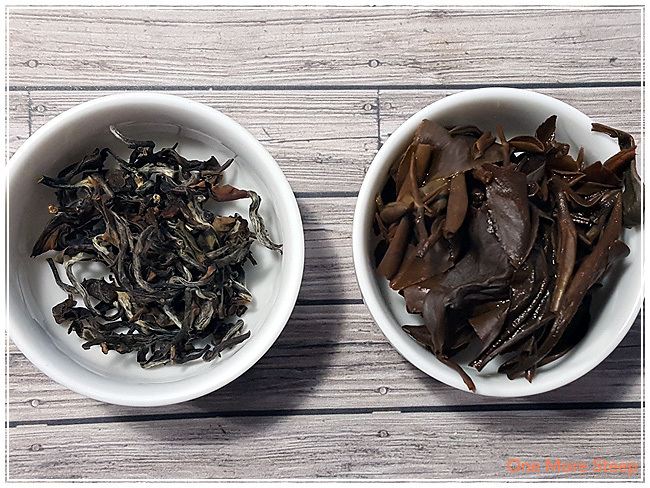 I really enjoyed steeping the leaves again and again to discover changes in the flavour profile. 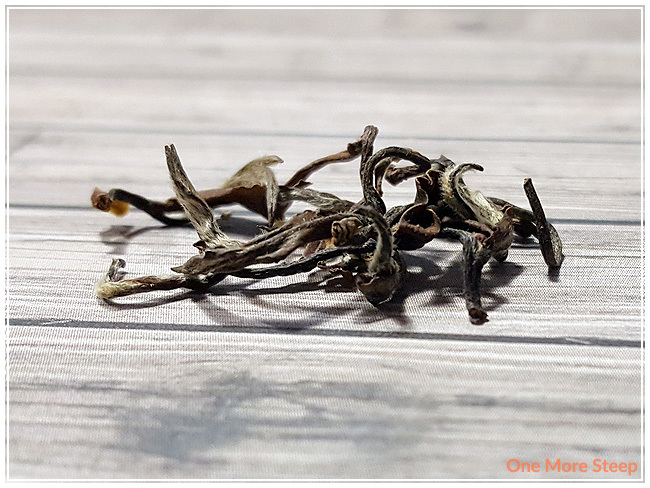 From the unexpected creaminess of vanilla to the addition of apple and floral notes, I think this tea does incredibly well with being resteeped and it is definitely a tea to sit down and savour each sip because of the complexity and ever-changing flavours with each steep.